These are my latest celebrity sightings in Los Angeles, spied over the past two months, starting with the most recent and working my way backwards. 7/11/10 I witnessed a warm reunion of Roseanne alumni Laurie Metcalf and Johnny Galecki at opening night of The Lieutenant of Inishmore at the Mark Taper Forum. I know who he is because I’m a big fan of his current series, The Big Bang Theory, but I’m actually kind-of surprised that I knew her because I’ve never seen Roseanne. And Laurie looked the best she ever has! Even kind-of feminine. I was impressed with her look. And no, Johnny wasn’t making that weird creepy face (like he smells limburger cheese) he has on his visage at all times in Big Bang. I was shocked I even recognized him without it, actually! 7/10/10 Jalen Rose, former NBA star and current ESPN analyst, rushing though the trendy Château Marmont Penthouse at the Carrera Escape event. By the time I decided to go over and say hi, he was gone. Guess he brought his on-court speed to the L.A. party circuit! 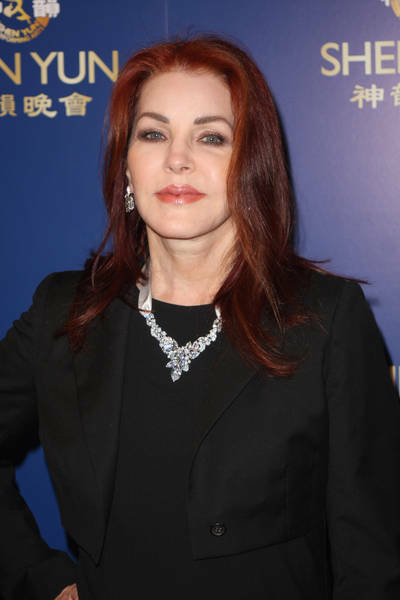 7/8/10 Priscilla Presley at the pre-show reception on opening night of Shen Yun at the Dorothy Chandler Pavilion. I got there at the last second (because I was watching LeBron’s announcement,) so I didn’t get a chance to say hi. We knew each other from way back in the day, when I was starting-out in the biz, and she was perfecting her acting skills. We took a commercial workshop together, and by chance, the instructor always put me on tape right after Priscilla. After the class viewed what each person had done, she paused the tape on the face of the next actor. Well, everyone who’s ever seen my show knows that the pause will be on me making a funny face, by accident. So, right after we saw this absolutely stunning woman (Priscilla, of course!) speak, we were treated to my mug while we critiqued what she had just done. And then, the instructor told me that I’m insecure!!! Who wouldn’t be when she constantly saw her own comical image right after that of Priscilla Presley? 6/23/10 Former (and hopefully future, if someone in show business is smart) sitcom star, and current successful voice-over artist, Ray Buktenica, at a really fun voice-over seminar at Screen Actors Guild. I have secret info that he’s the voice of the car who collides with another in the popular Geico commercial. I was hoping to hear him utter his famous line from it, “Holy Moly!,” but no such luck. 6/19/10 Mark Ruffalo and Julianne Moore spoke (Mark before, Julianne after) at the industry screening I attended of their new film, The Kids Are All Right, in Hollywood. She was nice and good, but he was a true gem! I have become such a fan, not just of his acting, but of him as a human being. 6/13/10 This was a surprise–Brigit Wilson, aka Mrs. Pete Sampras, at my little neighborhood fair! I was kind-of surprised to see a celeb, because it’s such a homey, mingle-with-all-the-local-kooks kind-of event. But someone told me that they see her hubby at the local coffee shop a lot, so I guess we’re neighbors! I’ll have to remember to invite them to my next soiree! BTW–she’s even more striking in person! Darn. 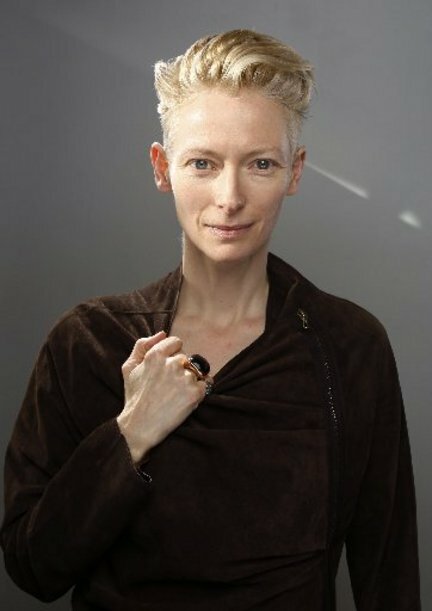 6/12/10 Tilda Swinton speaking after a private screening of her new Italian film, I Am Love. I have mixed feelings about the film, and some of her descriptions of scenes seemed incorrect to me, (like she mentioned that someone in a scene had stood up to give a speech, but really, he was walking away, not speaking at the time,) but she sure is one hell of an honest, non-phony, fascinating speaker! And as odd as ever in her style choice. As she entered the forum, my guest leaned over and asked me, “Is she gay?” Tilda’s not even close, but I can understand the confusion. 6/4/10 Old School dancer, singer, choreographer and sometime So You Think You Can Dance judge, Toni Basil supporting her art at Dance Camera’s West opening night at the downtown venue, REDCAT. I actually saved her from sitting in front of a woman who said she was “deathly ill,” but still rudely came out to foist her germs on the rest of us! 6/4/10 Katherine McPhee performing for us early gift-gatherers at GBK’s MTV Movie awards Suite at West Hollywood’s London Hotel. She even made us forget about the heat that day! 6/3/10 Champion figure skater Sasha Cohen checking out the Mesoethteic stem cell facial I just received at the Secret Room Gifting Suite. If only my skin was as flawless as hers, I wouldn’t have even needed a treatment! 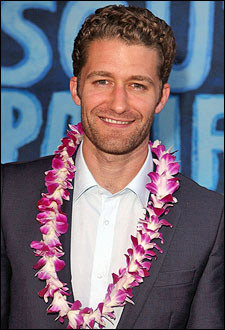 6/2/10 Matthew Morrison of Glee fame sitting just a few rows in front of me at opening night of South Pacific at the Ahmanson Theatre. He had played Lt. Cable when the show was at Lincoln Center right before he was cast as the glee club teacher on the hit show. 6/1/10 Modern Family’s Rico Rodriguez and his big sis, Raini, in the lobby of the Pantages Theatre on opening night of A Chorus Line. We chatted for awhile and I have to tell you–I have rarely seen such lovely, polite children! If I weren’t already a fan of Rico and his “Manny” character, I would have become one that night! 5/23/10 The Bold and The Beautiful’s Ron Moss at the Bony Pony Ranch in the Malibu Hills to celebrate Dr. Frank Ryan’s 50th B-day. Ron still looks as good as he did when he started on the soap a hundred years ago! 5/20/10 Buzz Aldrin and his wife Lois with some of the pro dancers supporting their fellow cast-mate, Evan Lysacek, at Stars On Ice at downtown L.A.’s classic Staples Center.